American automaker Ford’s outgoing CEO and the much admired man credited with scripting the car maker’s dramatic turn around, Mr. Alan Mulally, was in India last week, as a part of his global “goodbye tour”. Apart from reiterating India’s growing prominence in Ford’s export strategy, Mr. Mulally threw the first hint about the upcoming 2015 Ford Figo-based compact sedan through this statement. I think over time you will see more of our research with the customers and on the design side here. Even though we have a global development system, India is going to be a very important input into the vehicles. I can just see so many vehicles that are going to be born out of the customers and their needs in India. The Figo-based compact sedan, with its sub-4 meter length, will be one such product specifically tailored to suit the Indian car industry’s needs and the buying sensibilities of buyers here. The car has been just unveiled in Brazil, a market where it will go on sale later this year. In Brazil though, the Ford Ka+, as the 2015 Figo-based compact sedan is known, will measure more than 4 meters in length. Therefore, Ford India has shortened the 2015 Figo-based sedan’s length specifically for the Indian car market, where compact sedans measuring under 4 meters are very big in terms of sales and marketshare. The Indian government charges a lower excise duty for cars that measure under 4 meter and whose petrol and diesel engine capacities are capped to 1.2 liters and 1.5 liters respectively. 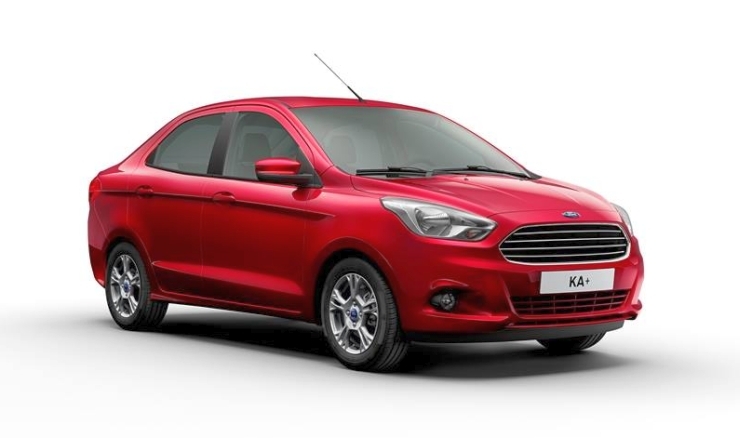 While the 2015 Figo-based compact sedan is a car that is shortened specifically for the Indian market, the car represents the first of many such made-for-India offerings from Ford in the future. The Figo-based compact sedan will roll out from Ford’s new factory at Sanand, Gujarat. The car will also be sold in hatchback (project codenamed B562)guise. Both petrol and turbo diesel engines will be offered on the 2015 Figo hatchback and compact sedan. Click here to read more.